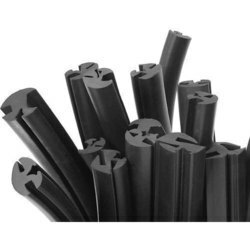 Leading Manufacturer of extruded rubber extrusions from Mumbai. Our offered Rubber Extrusion that are custom compound formulation for precise engineered performance and optimized cost. These are created to function in an extensive range of applications, industries and industry specific environments. These finds its applications in industrial and commercial food oven and cart seals , gaskets and fluid handling, washers and seals for electronics and electrical equipment, outdoor cellular telecommunications enclosures, water purification and filtration seals and tubing etc. Looking for Extruded Rubber Extrusions ?